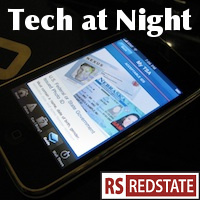 Tech at Night: Bitcoin zealots freak out. On pleasant places to live Tech at Night: The true agenda of Edward Snowden and Glenn Greenwald. 5 hour power outage Friday. Threw my whole day off, as you might imagine. I don’t even know whose fault it was: my apartment building’s or Dominion Power’s. Apple cut Bitcoin from the App Store.. Bitcoiners are responding like a combination of spoiled children and offended followers of a religion. Wait until they find out that Russia is banning bitcoin and Florida is going after Bitcoin money laundering. Bitcoin and crime go hand in hand. Mt. Gox is now preparing to rip off its users once and for all, it seems. Mt. Gox is the Magic: the Gathering Online eXchange, a site originally founded to trade collectible game cards, but now trades Bitcoins. Also, organized drug dealers are looking at Bitcoin. A Patent troll fails to beat Google, heh. But will Google be able to win over Eurosocialists and Republicans? Yeah, that’s a weird pair to list, but those are Google’s targets right now, it seems. Edward Snowden is so interested in protecting Americans that he’s now siding with the EU against America. The mask has long since fallen off this traitor’s lying face.